I share this news on a very special Anniversary of The Balanced Beauty because Noell is a special part of The Balanced Beauty’s journey! I met Noell through a mutual friend and we quickly became friends, sharing many of the same passions and interests. When I first launched my business, Noell was one of the very first people to reach out and give her support and encouragement. I will be forever grateful for her kindness and gentle push when I needed it most! I am just one of the countless women Noell has inspired over the past years. Noell launched her business and website, “Noell Yanik Fitness” with the goal to teach women how to take control of their health and lifestyle through a fitness! Her videos are full of amazing excises to build strength, tone up, feel beautiful and confident! You will see from her photos and videos she has the body of a GODDESS!… What is even more inspiring is her bod is after baby! Noell is a business owner, wife, mother and special friend- A total Balanced Beauty! Today, I ask you to give Noell the support and encouragement she has given to SO MANY over the past years! 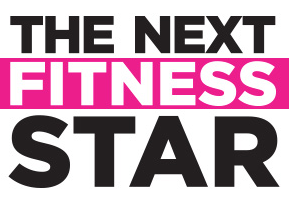 Please click here: The Next Fitness Star-VOTE! and VOTE for NOELL! The Balanced Beauty & Noell want to send you a FREE VIDEO Workout Download! 1. Go to the website, and click on NOELL to VOTE! Read below for an exclusive INTERVIEW with your NEXT FITNESS STAR, Noell Yanik! It wasn’t till I met my husband in 2006 that I realized my knack for fitness. It all started with me wanting to be with him. HE lifted weights, so I did too. At first, I was hesitant to lift weights because I was certain that I’d bulk up, but I was open minded enough to give it a shot (and in love with him enough to hang on the weight room floor). After about 3 months of lifting heavy (weight 2-3x’s per week) I was amazed at the way my body changed. I was tight and lean! I looked like I had a full body lift and I couldn’t believe it was all due to lift weights. From that point, I read every book I could get my hands on and contacted every health professional I knew, just so I could understand the science behind exercise, diet and their effect on the body. Two years later I married that man I used to hang with on the weight room floor and got my personal training certification to pursue my passion in health and fitness. I left my career in chemical sales for a job at the gym, confidently knowing it was only the beginning of my career as a trainer and BIG things in the years to come! Has your body always been in great shape? Good genetics or do you WORK for those results? Genetics do play a part in how we a look; how we metabolize foods, where we gain and loose weight, how long it takes us to loose weight or build muscle- it is all relative and specific to the individual. I know through experience that regular exercise and a clean diet works for everyone when it comes to reaching our fitness goals. I have a naturally thin upper body and tend to carry weight in my hips and thighs, so I have to work really hard to stay proportional! I lift heavy weights on my upper body and it makes my tiny triceps shake so much! I have to move a lot (run, swim, bike) to keep my lower body tight…I also lift heavy weights on my lower body. My overall goal for myself and for others is not to be perfectly proportional, because its not possible for everyone, but to have the best overall strength that your body can gain… So YES I have to work HARD to stay fit. After a certain age, we all do! You are a MOM! Did you workout through your pregnancy? I carried out my normal workout regimen throughout my pregnancy up until about 6weeks before Lucas was born. I was adamant about keeping my endurance level up throughout pregnancy and not being complacent because I know how hard it is to re-build endurance once you’ve scaled back. I continued my weight lifting, yoga, pilates and carido regimen. I loved the confidence I felt from knowing that while exercising I was sending freshly oxygenated blood to my growing baby 🙂 I guess it was my pre-maternal instinct that let me know it was ok to workout hard during my pregnancy. It just felt like the right thing to do! How did you lose the weight post baby? It was the hardest weight I ever had to lose! I gained 31lbs and lost about 20lbs almost immediately but that last 11lbs was the most stubborn weight my body every carried. It took me about 6-9 months to loose the weight and start feeling like myself again. I am sure I could have lost the weight sooner but I scaled back my workouts to keep the breast milk flowing to give Lucas the nutrients he needed. He was my priority- No regrets! How do you balance your workouts with every day life responsibilities? I am constantly checking in with myself every week and often I reflect over the past month just to make sure that I am living out what I say I want my priorities to be. Thats how I (attempt) to keep it all balanced and in- check. What are your 3 TOP TIPS for a rocking body? Eat fresh, REAL foods that are as close to their live state as possible and pay attention to things like acid reflux and constipation. Those are signs that something in your diet needs to change, and once it does you’ll reduce inflammation and ‘look’ about 3-5lbs lighter. When you’re kind to your body you’ll begin to see its beautiful, natural state. Regular exercise and a healthy diet are a way of life. A lifestyle. So don’t listen to the nay-sayers who mock you when you decline happy hour to go to the gym or roll their eyes when you pass on the fried food platter. Choosing to lead a healthy lifestyle means that you are now a leader and people are looking up to you… So yeah, you’re not always making “popular” choices but in this case, you’re making the right ones. Make like-minded friends with people in your workout classes and instead of grabbing a drink with a friend, ask them if they want to go on a trail walk with you after work instead. A healthy lifestyle means you prioritize exercising about 4x’s per week and eating well too. So be bold and courageous and make it happen in your life too! When you become preggo, try to hold your stomach in as long as possible (by that I mean pull your stomach in and your belly button toward your spine). You’ll want to relax and let it ‘hang’ out but resist the temptation and pull your belly up and in. This will keep your tummy muscles strong and will keep the mind/body connection strong so that after baby you can re-engage those muscles once more! Knowing how to engage them will also help with Labor and Delivery. What did it feel like to hear you were selected as a TOP 5 Finalist?! It felt like I was dreaming! I think my vision went blurry for an instant as I read the email! I had to shake my head a bit and then re-read. Then I screamed at the top of my lungs (despite the fact that my baby was napping upstairs) and jumped around in circles and grabbed my phone frantically calling one family member after the next until someone finally picked up! Once I calmed down I realized that I felt so affirmed and honored as a trainer by being selected by such a huge company in my industry and I felt at ease too. Before I submitted the application for NFS I was at a funny place in my career and was unsure of what next steps I was going to take to get where I wanted to be. When I found out I was an NFS finalist I felt peaceful. Like my prayers had been answered and like I didn’t have to worry about what I was supposed to do next. What is your advice for someone just starting a workout routine? First of all, GOOD FOR YOU and welcome to the fit club!!! Set 4 week, 8 week & 12 week goals to begin. Then have rewards planned for yourself once you’ve reached each of these goals. Keep moving through your workouts to build endurance (for example, alternating high knee lifts and pumping your arms if you’re too tired to squat anymore)… And lastly, DONT QUIT ON ME! Give it at least 12 weeks before you throw in the towel. We know through science that thats how long it takes to make concrete changes in the body (although most will see improvements along the way) and that is how long it takes most of us to form a habit too, so DONT STOP!! What would WINNING the competition mean to you? Winning the competition would be a dream come true! I want this so bad, not just for myself but for my backbone, Neil and Lucas too. The possibility of reaching even more women than I have already reached is beyond my dreams… but, wait, no its not! I CAN see it. Its just overwhelmingly exciting to me. My passion is enriching the lives of other women by teaching them how to become the best version of themselves and winning this competition would allow me share my message with the masses. Im tearing up just thinking about it! This is such an awesome opportunity and I am so grateful for it! Noell is proof that if you follow your passion, work hard, and dream- ANYTHING IS POSSIBLE! We are rooting for you!!!!!!!! Photo’s from Women’s Health Mag!